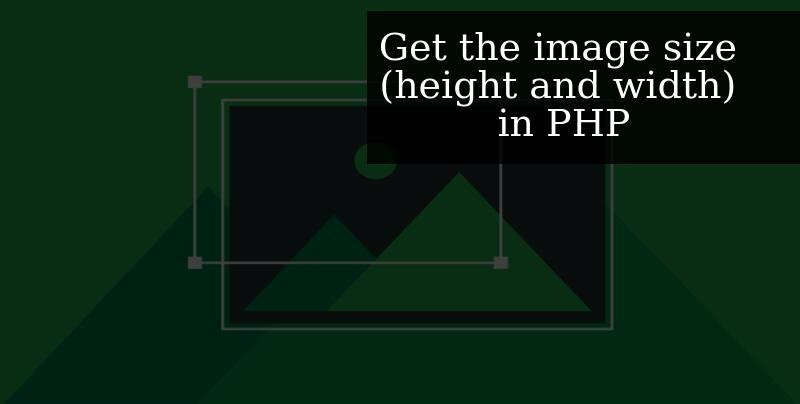 In this tutorial, I am going to tell you how to get the size of an image using PHP. The code snippets I am going to show you will retrieve the height and width of a given image file path. There is a PHP function already available which will let you know the size of a given image file. The function is getimagesize() which will return an array that contains the height and width of an image file. It will also return some other properties, but here we will only take the image height and the width. We have store the array data of coming from getimagesize function inside the variable $imgsize_arr. In the array, you can see that the width of the image is available in the index 0 and the width in the index 1 of the array. Now, let’s get the height and width from the array. As you can see that it is just a few lines of code which is easily retrieving the size of an image. It is simpler and easier than we can think. isn’t it? Now you can use this method anywhere where you need to know the size of an image or you have to make your logic that is base on the size of the image.